Like most other people, you probably shop online once in a while, right? Did you know that it is then possible to get cash back for some of your purchases by joining certain websites? There are actually quite a lot of sites that give you this opportunity. But to get the most out of it, it is important you join the right sites, as there are many poor ones that are mostly a waste of time. In this article, I will, therefore, show you the 10 best cashback websites where you can actually earn when you spend money online. Sounds great, right? So let’s get to it. This first question I often hear about cashback websites is if they even work – to that, I can say: yes, they definitely work if you join the legit and good ones. I have gotten some great deals like this myself and gotten cash back when spending online. How they work is that, depending on the platform you join, they will give you access to buying online products through them. All you have to do is usually to click a link that will take you to the online shop you want to buy from, and then it will automatically be detected if you end up buying, and you will then get the promised money back into your account of your chosen cashback site. Good cashback sites can give you great offers in some of the biggest online stores. The reason cashback sites can do this is that they usually have cooperation with different online shops. They get paid a commission to promote these stores. Instead of just taking the whole commission themselves, they share some of it with its members. So if you follow one of the links from a cashback site and end up buying something in an online shop through that link, the site will earn a commission for referring you and they will then pay you a commission for having used their link. You can then get this money out in various ways depending on your chosen cashback site. Often you will be able to get them out through PayPal, gift cards, Amazon e-certificates, and more. Usually, it will be a percentage of the amount you spend you will get back, but sometimes it can also be a certain amount. By joining the best cashback sites, you will get access to many online shops. As the sites usually work with different shops and offers, it can be worth joining several sites to get access to the most opportunities. So are cashback sites even worth joining? Well, I would say that depends. First of all, it depends if you ever shop online. If you do, then it is definitely worth looking into finding good cashback sites. You are spending the money online anyway, so why not get some of the money back. Money saved is money earned as they say, right? Also, if you join some of the best sites (see list below), you can actually get some really great deals. Something to be aware of is also that many of the cashback sites actually also offer other ways to earn. 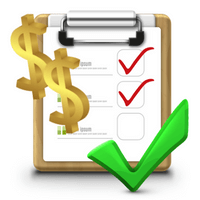 Often they have several ways where you can earn by doing small online tasks. These other tasks are not something you have to pay for and can be a very nice way to earn some extra cash. It can, for example, be by taking paid surveys, signing up for free trials, downloading apps, playing games, participating in free contests, and more. Which cashback sites are the best to join depends a lot on your personal preferences in relation to the payout methods they offer but it also depends a lot on the county you live in. There is no doubt that the best and most opportunities are if you live in an English-speaking country – especially in the US, UK, or Canada. But there are also good opportunities in other countries. On the list below I will show you which countries each site is offering cashback opportunities in so you can easily find the ones that are available to you. So let’s now get to the list of the best sites. The list below is not a complete list of all sites that have cashback offers. There are many sites, but A LOT of them are not really worth it, in my opinion. 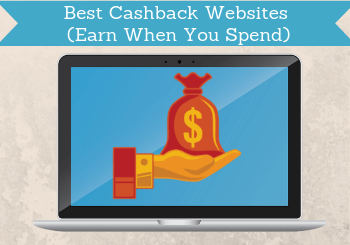 The list below is instead a list of the top cashback sites with the best opportunities. Remember that to get the most opportunities it is a good idea to join several sites. Also, the list will regularly be updated as I test new sites, so make sure to bookmark this page and check back once in a while. Swagbucks is not just a cashback site with a lot of really great cashback offers. It is also a get-paid-to site (GPT) with a lot of other earning methods. You can also earn by taking surveys, participating in contests, surfing online, watching videos, and more. It has a really big amount of cashback offers and is definitely one of the sites you should join if you live in one of the countries mentioned above and ever shop online. Swagbucks offers great payout methods as you can get your earnings out through PayPal, Amazon gift cards, or many other gift cards. The payout threshold starts at around $2 and depends on your chosen reward. If you join through the invitation link below, you will even get a $10 bonus the first time you use a cashback offer and an additional $5 when you have earned a total of 2500 points. FeaturePoints is actually available worldwide but the only countries it offers cashback options in is in the US and Canada. Here it has some very nice offers like this and gives you access to discounts in many big online stores. In other countries, you can only use the other earning methods FeaturePoints offers, but these are also great. You can earn by taking paid surveys, watch videos, download apps, and take part in free contests. You can get your earnings out already when you have earned $3 and get paid through PayPal, Bitcoin, or gift cards. MyPoints has a huge online store you can buy through and get cash back every time you shop. It has some of the biggest shops and companies as partners, so if you already shop online you will likely find many of your favorite stores here and then you can earn while spending. At the moment, MyPoints is only available in the USA and Canada. If you live here, you can join, and you can then also earn by taking surveys, find coupons, watch videos, and more. You just have aware that you cannot get your earnings out in cash on MyPoints. You can get gift cards to a huge number of both online and physical stores, which is as good as cash. But if you only want cash, you need to choose some of the other sites on this list. A great bonus MyPoints gives that you get a $10 bonus after your first purchase. WowApp is an interesting and different platform in many ways. The reason it is so high on this list of the best cashback sites is that it is one of the few platforms that offers really good cashback offers in more or less all countries. In addition to this, you can earn by taking surveys, reading the news, chatting and calling, taking online offers, playing games, and more. WowApp can be a bit overwhelming at first because of its many options. But if you are looking for a site with many cashback offers in most countries, this is definitely a platform to check out. Superpay.me is another of the worldwide GPT sites with several ways to earn but the only country it offers cashback options for is the US. The other earning methods it offers include taking paid surveys, clicking ads, taking offers, watching videos, free contests, and more. A really great thing about Superpay.me is its payout conditions. You can get your earnings out already when you have earned $1 and you can get the money out through PayPal, Skrill, Bitcoin or get Amazon gift cards. InboxDollars is only available in the USA. There are some things about this platform I am not too crazy about but when it comes to cashback options it has some great opportunities. It gives you access to cashback offers in hundreds of big online stores and you can also earn by redeeming coupons. In addition to this, you can earn by taking surveys, read emails, watch videos, play games, and more. You just have to be aware that the payout threshold on InboxDollars is a bit high as you need to earn $30 to cash out and you can get your money by check, prepaid Visa, or gift cards. OhMyDosh is a very good cashback site to join if you live in the UK. It does have a few other ways to earn as you, for example, it has a few survey opportunities. But it is, first of all, a cashback site and has many opportunities. If you find the good offers it has, you can even often find offers where the cash you can get back is more than the investment you have to make. You can get your money out via bank transfer or PayPal once you have earned £10. By joining and confirming your email you will earn your first £1 right away. EarningStation is a GPT site only for the US. It offers quite a lot of different ways to earn as, for example, paid surveys, watch videos, get paid to read emails, and more. The cashback options EarningStation offers are a bit different from most of the other sites on this list and are only relevant if you spend money in that particular way online. You can get 20% cash back every time you spend money on the Game Show Network and you can get 5.5% discount on everything you buy on Groupon. So if you use any of these options, it is a great site to join. You can get your earnings out through PayPal or gift card. The threshold for gift cards is $10 and it is $25 for PayPal. Let me just start by saying that Green Panthera is a bit of a wild card on this list. The reason for this is that I have personally been paid by it several times and not had problems with it. But I have received feedback from many users that feel they had their account banned without reason. So just wanted to mention that here so you are aware that there is a risk this can happen. It is therefore definitely not the best cashback site and even in the UK, US, and Canada where it has the cashback options, it is not the one with the most. But it still gives some options and you can also earn by taking surveys so it can be worth considering as an extra site. You, however, have to be a bit patient to get a payout as you have to earn $30 to get your money out. Microsoft Rewards is only a cashback site that is relevant if you use the Microsoft online store or use an Xbox and spend money through that at times. If you do, you can get some points for every dollar you spend and you can then use these in the Microsoft Store. In addition to this, you can earn a little bit extra by surfing online, taking quizzes, and more. It is not a site with a huge amount of opportunities but it is legit and I wanted to put it here as it can be a great option if you already are using the Microsoft store or have an Xbox. Then why not earn a bit while spending the money you are spending anyway. That was a list of the top online cashback sites and a comparison of them so you can easily get an overview and see which ones that is available in your country and offer options that are relevant to you. Remember that many of the sites offer several ways to earn and using some of these other methods can be a great way to earn some extra cash without having to spend any. The list above will regularly be updated as I test new sites, so make sure to bookmark this page and come back and check for new opportunities once in a while. If you have any comments, questions, or know of a really good cashback site you think belongs on the list, then I would love to hear from you in a comment below.